A luxurious mansion in San Francisco’s Pacific Heights area has been listed for sale for the massive price of $30 million. Built in 1894, this private residence is spread over an area of 13,500 square feet, and is constructed in the charming Queen Anne architectural style. 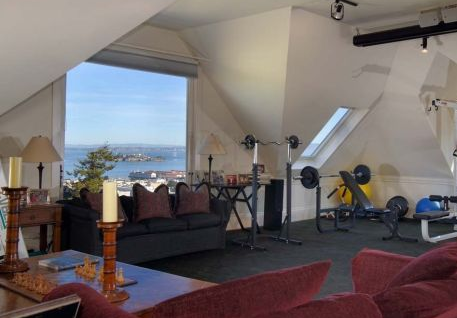 This home offers amazing views of San Francisco Bay, Alcatraz Island, Angel Island State Park, and the high rise buildings in the downtown area. Luxury mansions are always in demand in San Francisco, and it is expected that this piece of real estate property will be purchased really fast. The mansion itself was designed by renowned architect Emil Arminias Hermann, and can comfortable hold as many as 500 guests, at a time. The first owners were Captain Hermann Meyer and his wife, with their troupe of eight children. Currently, this for-sale home is owned by Doug Engmann, the former chairman of the Pacific Stock Exchange. 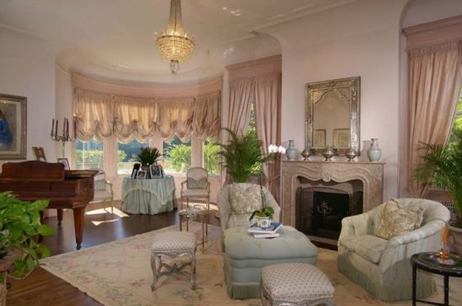 This Pacific Heights mansion in San Francisco is built on about two-thirds of an acre of land. The frontage measures 142 feet, while the rear perimeter measures 191 feet. Over the years, it has undergone several renovations to improve its appearance while maintaining the Queen Anne architectural style. This asymmetrically shaped mansion has steeply pitched roof lines, and a round tower with windows all around. There are more than seven bedrooms in this for-sale private mansion, together with one staff bedroom. There are also seven full bathrooms, and two half-baths. These rooms are spread over four levels of the San Francisco luxury home. On the main level of this Pacific Heights luxury home is a grand reception parlour, a living room, a family room, a butler’s pantry, a chef’s kitchen and a formal dining room. 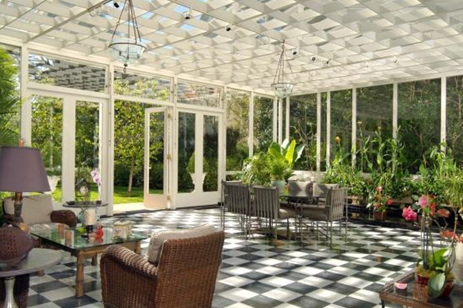 There is also a wonderful garden solarium or sun room, with a koi pond. On the second floor of this San Francisco luxury mansion is the master bedroom suite, two bedrooms and an office with a terrace. The third floor has the remaining three bedrooms, a spa, a gym and fitness centre and a media room. For parking, the residence has an attached four-car garage on its lowest level, as well as adequate off-street parking. There is also a lush green lawn for having small parties, and entertaining VIP guests. 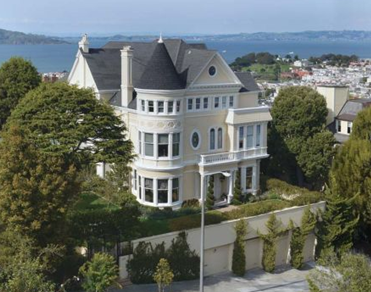 What do you think of this luxury mansion in the Pacific Heights neighbourhood in San Francisco? Ready to buy it for the listed price of $30 million?